The grounds where the unmarked mass grave containing the remains of infants who died at the Bon Secours mother-and-baby home in Tuam Co Galway from 1925-1961 rests. MINISTER FOR CHILDREN Katherine Zappone has requested for an examination of the current legal options regarding DNA sampling from the survivors of the former mother and baby home at Tuam. The Tuam Home Survivors’ Network recently called on the Government to begin collecting their DNA samples as soon as possible, highlighting their age profile and health status. The first excavations at the site of the former Tuam mother and baby home were expected to start in the latter half of 2019 but legislation must first be passed by the Oireachtas to give the government the power to carry out these excavations. “These issues will ultimately be addressed within the bespoke legislation that is currently being scoped by my Department,” Zaponne said. However, I am very sympathetic to the concerns of survivors that their ages and health profiles introduce an element of urgency. The Minster has asked Dr Geoffrey Shannon to consider what actions may be possible under existing laws with particular reference to the collection of biological samples for comparison purposes. Zappone added that Dr Shannon will provide a report to her within eight weeks, consulting with her officials in the course of his work. The Commission of Investigation into the home, which was run by the Bon Secours nuns as a home for unmarried mothers from 1925 until 1961, announced in March 2017 that it had uncovered a significant amount of human remains at the site. A decision to carry out a full forensic examination was announced in October. Experts have previously said that the excavation of the site will be extremely complex, and that identification of the remains would be difficult, primarily because they would have ‘mixed’. The cost of the forensic investigation at the Tuam site is estimated at between €6 million and €13 million. The Bon Secours Sisters, who ran the mother and baby home, have offered the Government a €2.5 million voluntary contribution towards the investigation. With reporting from Nicky Ryan. Email “Legality of collecting DNA samples from Tuam survivors to be examined”. 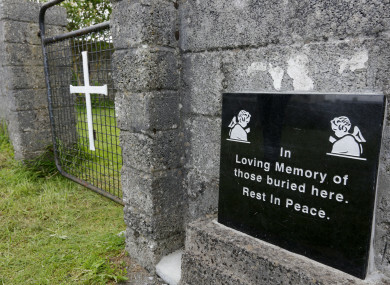 Feedback on “Legality of collecting DNA samples from Tuam survivors to be examined”.